Justin began his media career in the field of photography at Fullerton College in Southern California where he learned the art of alternative print processing from Al DeVito, student of Ansel Adams and Cole Weston. He continued his education at Brooks Institute of Photography in Santa Barbara where he specialized in fine art photography and alternative printing techniques. The next two years he sold his works in one-man shows and through private auctions. In 1993, Justin secured a position at Networkers Inc., an established IT company in Orange County, Ca. with the facilities to launch a career in digital media. Justin was afforded the opportunity to get in on the ground floor in the fields of 2D, 3D and digital photography. Justin became a regular contributor and an advisory board member for Metatec’s Nautilus CD Magazine, the first digital magazine with nationwide distribution. During this period, he was also producing 2D and 3D animation for corporate clients and learned a great deal from industry pioneers at a monthly 3D user group. While at Networkers Inc., owner John Giaimo, founded Visual Listings Inc. with the visionary concept to develop a cd-rom database of new homes with photographs and floor plans. Justin was responsible for photography and aided in software interface design. The startup garnered attention from the real estate industry and within two years was purchased by newly formed Homeseekers.com, becoming the first to put real estate listings on the internet. The independent 3D work that Justin was doing caught the eye of industrial designer, inventor and 3D artist Steve Sherer. Steve’s groundbreaking work on Lucas Arts’ Rebel Assault PC game led to more projects and help was needed. 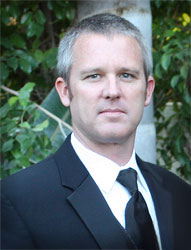 In 1995, Justin was hired as Senior Animator for Sherer Design Associates which later became Sherer Digital Animation. Steve and Justin specialized in character design and real time animation. During the 8 years at SDA Justin produced 3D models and animation for a variety of media applications. Projects of note include broadcast animation of Snoopy for Sanwa Bank, virtual human animation for CBS MarketWatch and work featured on ABC’s PrimeTime. He and Sherer were responsible for the development of 50+ game characters for the PC game series “Law and Order 1, 2 & 3”, Kodak’s interactive campaign promoting motion picture film and Mr. Clean’s online debut for Procter and Gamble. In 2003, Justin left SDA to work independently in the field of 3D. He was awarded a contract with The Center for Spoken Language Research developing virtual human teachers and speech therapists along side researchers at UC San Diego robotics lab. As the contract came to an end, Justin joined The Marketing Department, Inc. which provided the opportunity to extend his production services to include digital video and post production on the Avid platform. While at TMD he produced :30 sec. commercials, infomercials and DVD projects for corporate clients. He also designed websites, founded the companies online department, “eBlast” eNewsletter business, and was co-developer of the Content Management System (CMS). In October of 2006, Justin helped launch Brandini Toffee. He is responsible for brand development including corporate identity, package design, web development and online marketing. Within two years, the family-owned business appeared on the Martha Stewart Show, Martha Stewart’s Best Desserts and the Oprah Magazine O-List. In 2010, Food Network’s Chef vs. City was filmed at the Brandini factory and retail store. His online efforts have brought Brandini Toffee (keyword: toffee) to Google page 1 in organic search. Justin Post is currently consulting for local advertising agencies and providing media production services to companies large and small. His work has garnered numerous Addy Award’s, has appeared in AdWeek, Interactive Week and 3D trade magazines. Justin currently resides in La Quinta, CA. with his wife and two children.